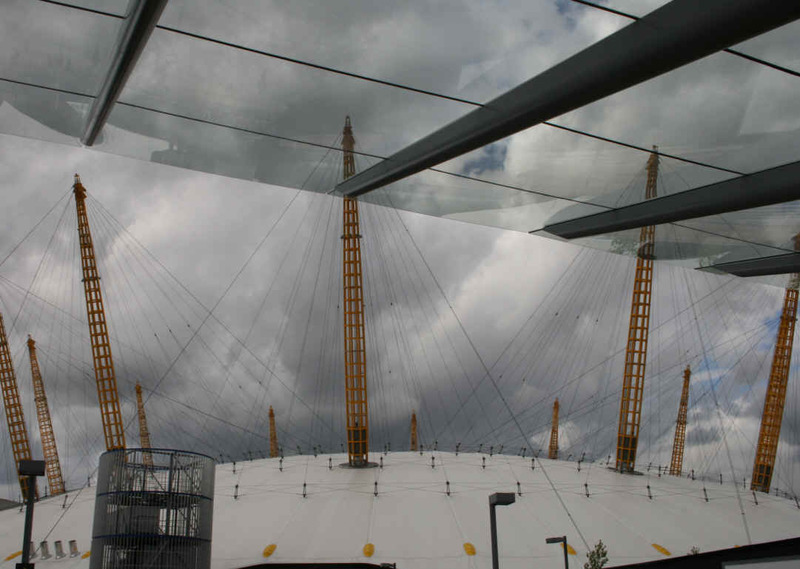 The new O2 Dome is quite pleasant in a popcultural, hamburgery kind of way. The big tent’s now home to a circular street of restaurants and cafes around a central arena, with a cinema near the top. The architects have cleverly kept the fact you’re in a tent – the main point – in plain view, although with more buildings inside than before it doesn’t seem to soar as much. They’ve sensibly kept it free of burgers and fried chicken. The venues are lower-mid-range chains like Pizza Express and Slug & Lettuce, places the middle class can comfortably eat in. Again, nothing difficult or unexpected about it, just a low-intensity, American-style family experience pitched just right for the people who’ll frequent the place. The cinema’s on the same level of experience. No ticket booths, just machines (that dispense rather overlarge receipts; there’s some tree-saving to be done here.) Inside, the auditoria are big and tiered, a proper cinema experience with decent seats. All in all, the O2 is a ‘nice’ place. Perfect for families, the mid-level mass-market audience it wants, the sort of people who put TV show schedules in their diaries, work 9-to-5 and own their own home. A nice, normal place. For nice, normal people.